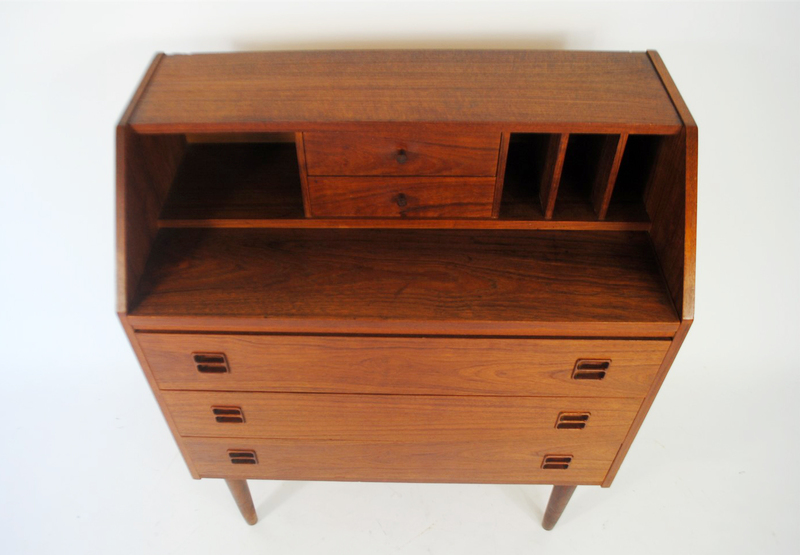 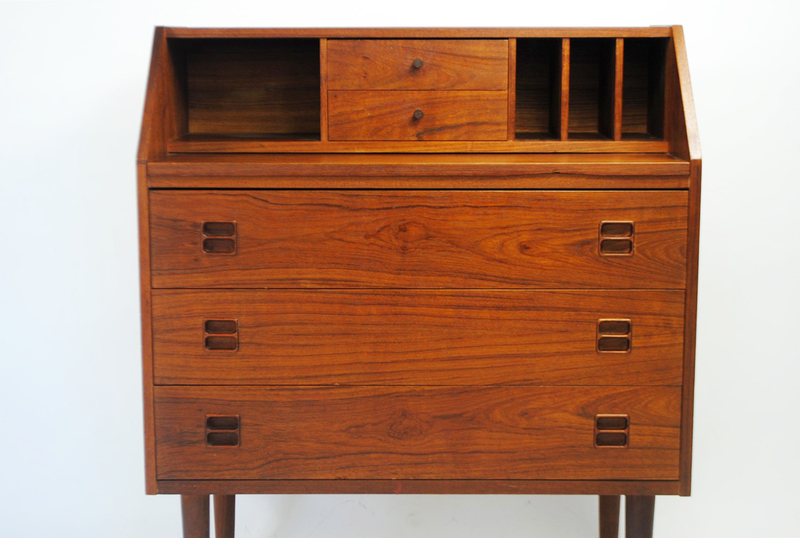 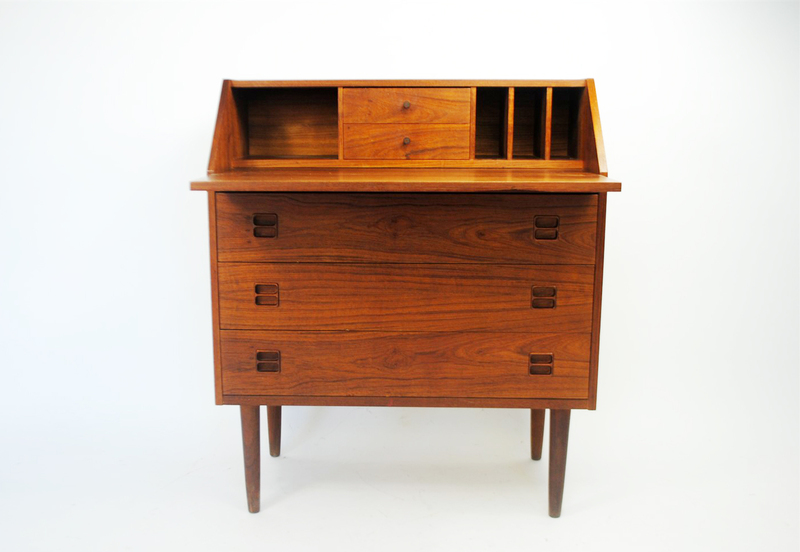 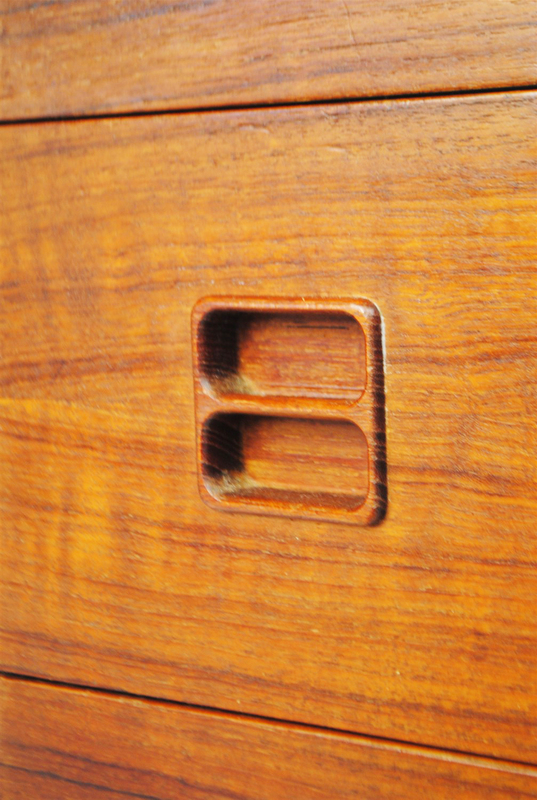 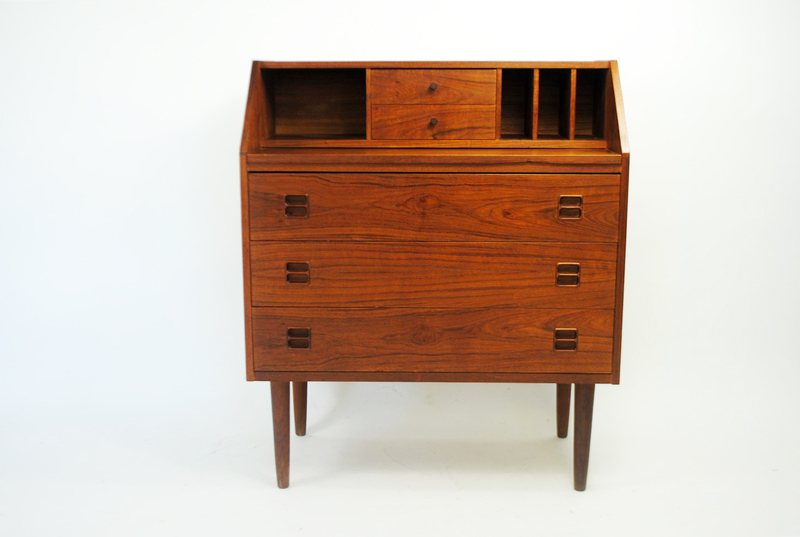 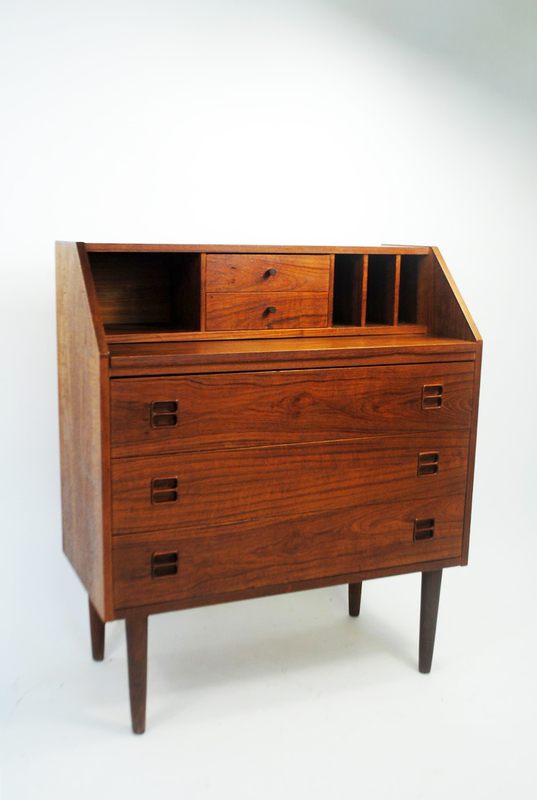 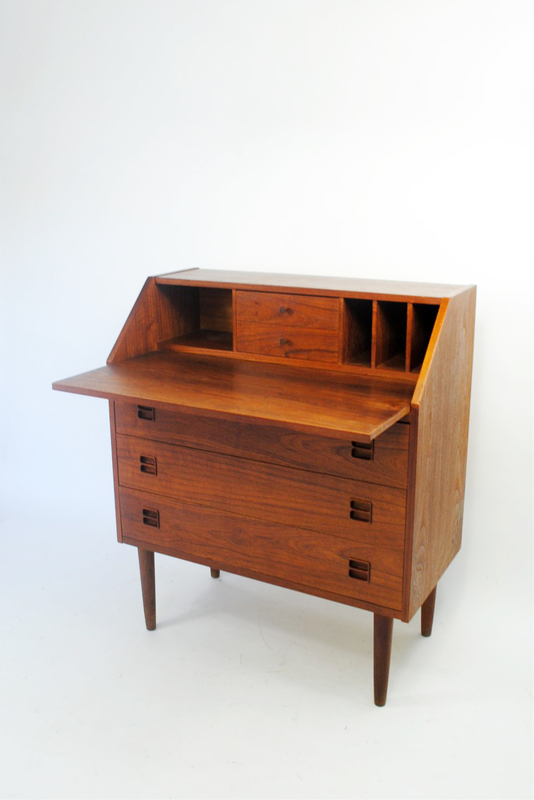 Danish teak writing desk/cabinet designed by Gunnar Nielsen Tibergaard in the 1960’s for Ikast Mobelfabrik. 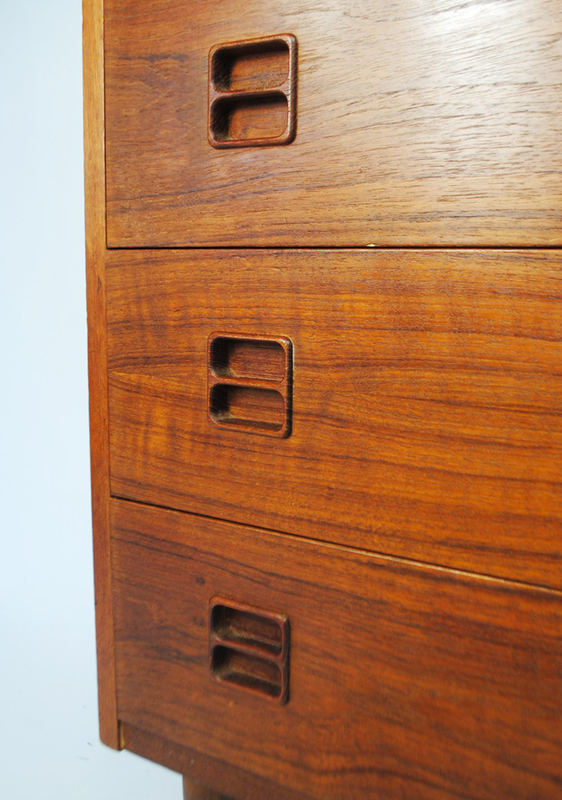 The sectretary holds 3 large storage drawers below, a large extendable writing surface area, 2 small drawers and 3 vertical letter boxes. 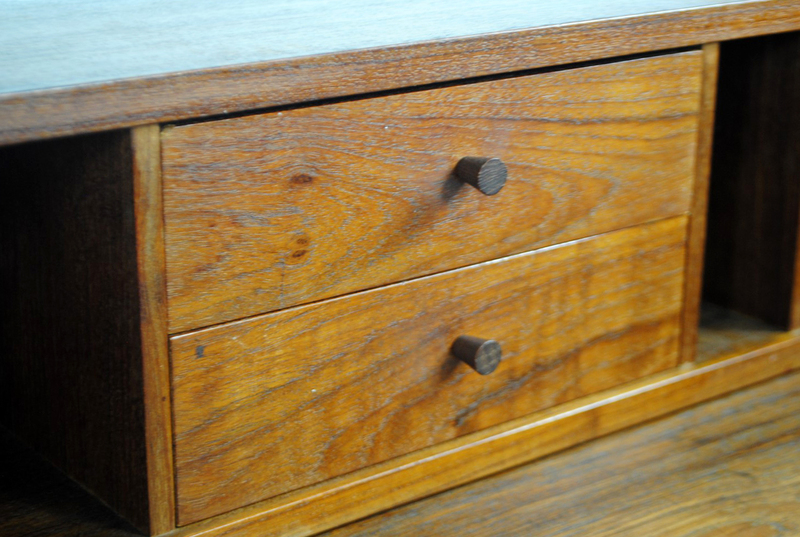 In very good condition with only the smallest signs of wear.